First for Women, now officially known as 1st for Women, is an insurance company with a difference, as it provides insurance for women only. It caters for the specific needs of women, allowing female motorists to benefit from cheaper vehicle insurance premiums. 1st for Women also handles a wide range of products and benefits that have been designed with South African women in mind. The First for Women brand was created after research revealed that the number of women taking out their own insurance policies was increasing and that there was a gap in the market to offer these women an insurance product catering for their unique requirements. This, combined with the fact that women are lower insurance risks than their male counterparts, was all the motivation needed for T.J. Creamer, L. Vermaak and J.W. Wilken to set out to create a product tailor-made for women that offered them lower insurance premiums because they are better insurance risks. First for Women Insurance has been inspired by heroic women all over the world, but particularly in South Africa. This is reflected in the fact that over the years, they have become an advocate for women, creating the 1st for Women Insurance Foundation which has raised over R30 million for South African women in need. 1st for Women offers a wide range of insurance options including car, household, life, motorcycle, business, building and portable possessions insurance, which come hand in hand with specific benefits for women such as medical, trauma and road assist. There are three options available when it comes to car insurance: The first option is the comprehensive car insurance policy, which is an all-inclusive policy which will cover you if your vehicle is stolen or broken into. Should you cause an accident, it will take care of damages to your vehicle, as well as cost of damages to other party’s property that was a result of your accident. The second choice is the 3rd party, fire and theft insurance policy. This policy covers damage to your vehicle as a result of fire and/or theft. It covers damages to a third party’s vehicle if you cause an accident. The third option that 1st for Women offers is a 3rd party only insurance policy, which covers damages to another’s vehicle or property should you cause an accident. 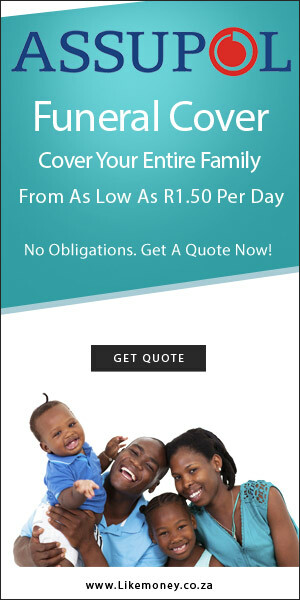 If you are a woman seeking an insurance quotes in South Africa, 1st for Women is a great option to try.